One of the differences between being a novelist and a poet is that the novelist kind of moves into your house. I mean, it takes three days or three weeks to read a novel. I think of the novelist as a houseguest. The poet is more someone who just appears. You know, a door opens, and there’s the poet! He says something about life or death, closes the door and is gone. Who was that masked man? I like that kind of sudden appearance. Not overstaying your welcome, you might say. ​Rebecca can't remember a time when she wasn't writing. Some of her poems come from childhood memories while others have been inspired by more recent events. Originally from Wisconsin, Rebecca has made Iowa her home since 1992.
my brother and his girl coming up the walk. my brother comes in singing. He sounds just like The Kingston Trio. “How about that game?” he asks. “He owes me a game,” I tell his girl. Then we play and play. unspeakable deeds have taken place. and then my brother joins in. Soon we’re all singing-all three of us. June Dove began writing as a young bored housewife. As she grew older and found herself along the way, writing became a passion. She loves to write, but as a working girl, often times it is difficult to find the time and frame of mind to be creative. Can you teach perfection, to those who are Imperfect??? How can you explain justice, righteousness, and compassion. their only way of life...? Can you introduce one, into a new way of life? One they did not know existed..
You can not dictate to someone else, how they should live.. Through humility, righteousness, compassion, and love. Help me to prosper, in these fine and honorable ways..
​Elaine Erickson has been published in The Briar Cliff Review, The Maryland Poetry Review, and Lyrical Iowa, among others. She has four collections of poems published and two chapbooks, the latest being New Portraits. She is also a composer and pianist, and likes to write about her experiences as a musician. Elaine participated in the 2015 Art on the Prairie event. I’ll play for you, dear. You’ll sit in the wicker chair. ​Paula Farkas has a degree in creative writing (1982), and origins in New York, California, and now Iowa. Paula has a unique way of expressing her personal history and feelings, through poetry. 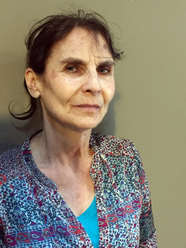 She has been an active poet since 1982. Her poetry portrays subjects of personal struggle and feelings that need to be paid attention to. Things that influence her poetry are through her childhood exposure to early poetry via her grandparents. She was always intrigued by what the possibilities were capable through poetry and language and developed a deep sense of art and how images related to language. Award winning, and is a published chapbook poet. Awarded a scholarship for the Ragdale Artist Residency Program outside of Chicago. She has read for and been group published by Dominican School in Berkeley. Staci Harper-Bennett is a Des Moines, Iowa, native. After receiving a BA in English from Iowa State University and an MBA from Drake University, she had an existential crisis that resulted in a swift departure from the corporate world and a deep dive into social work and advocacy. 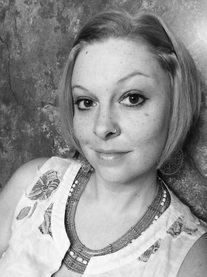 Staci has authored four chapbooks--Soon is Not, Brittle Futures, “Thirty, and Crime Scenes--and is known for her written and spoken word poetry. In 2015, she lent her voice and experience to "Words Save Lives," an exploration of poetry as a suicide prevention tool. She can currently be found working at the Des Moines Art Center, reading, gardening, or spending time with her "little family." Staci participated in Art on the Prairie in 2013 and 2015. ​As a botanist at Iowa State, Deborah Lewis has studied plants and nature scientifically for a number of decades. Writing poems, encouraged by poets in Third Stanza (a society of Ames area poets), has opened her eyes to seeing plants/nature in a new light, especially in recognizing relationships and patterns that she had long overlooked. This has led to similar observations of humans' activities and dynamic interactions, from family to strangers. Five of her poems have been published in Lyrical Iowa (2011-2015), and she has participated in Art on the Prairie in 2013 and 2014.
you who gave me life and made it sweet. and straight, could reach the largest, sweetest ones. sweet peaches past and those to be. Writing has provided for Jerrold Narland a means of capturing some of the places, people, emotions and events he experienced over the years in his lives as wanderer, nuclear physicist and rocket scientist. 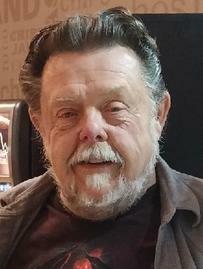 His poetry has been published in four books and several journals including Lyrical Iowa. Traveling much of the world during his life he now resides near Des Moines in the Iowa heartland. And though yet journeying out when adventure beckons, he finds that increasingly he is content to enjoy the comforts of home and hearth and to spend more of his time in writing and painting. He has participated in Art in the Prairie in the previous three years. luggage in tow with the other. At least that part is getting easier. of your latest visit to my world. for me to force into a continuity. Steve Rose’s poetry has been published in numerous small publications including The Journal of Medical Literature and has placed five times in the Lyrical Iowa’s “adult general” category, winning that competition in 2008. He now serve as editor of the “adult general” section of that publication and is therefore ineligible for awards therein. He also had a poem published in The Midwestern Review in 2012. He was a featured poet at the Finch and Rose Society’s “99 Counties” celebration of Iowa’s birthday in 2009, his poetry was featured in a 2010 calendar published by the Iowa Natural Resources Commission, and his work has been displayed in numerous “DART” buses in Des Moines. He published a book of poetry titled Hard Papas in 2014. He recently retired from Simpson College, and besides writing he is pursuing bass fishing and biking as much as possible. He participated in Art on the Prairie in 2015.
run dry of their exploits? never made his story a sing-along. he pitched as a museum. front porch like a coffin. Lori Shannon has been writing poetry as long as she can remember. Her works have appeared in the Iowa Poetry Association's publication Lyrical Iowa every year since 1989. Additonally, her poetry has garnered recognition in both in and out-of-state contests as well as being published in Capper's, Ideals, and other small publications. A retired teacher, now a part-time local pastor, she lives in Manning with her husband Jack. She participated in “Art on the Prairie” in 2015. The farmer does not come with golden corn. Growling angrily and breathing smoke. His anger evident in prod and poke. And then are welcomed to the killing floor. 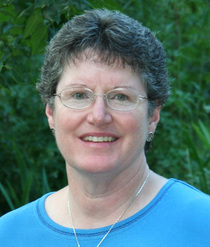 Pat Underwood is a contributor to Voices on the Prairie and Contemporary Iowa Poets. She participated in “Art on the Prairie” in 2012. He’s in the car with the window down. like Father’s when we were young. the silent shock of letting go. gathering energy for the days ahead. ​Donna Jo Wallace has been writing poetry for most of her life. Most of her poems stem from personal experience, observations, or reflections. She believes that poetry and music are all around us in in all things. Poetry is not imposed, but revealed. Groups she has participated in include the Live Poets’ Society, Dream Machine Poetry Society, and The Iowa Poetry Association. She also enjoyed a leadership position at a writers’ group through her local church. As a writer, she considers first and foremost a poet. She does not place much emphasis on formal rules in her writing; rather, she prefers to focus on clear imagery, verbal precision, and emotional honesty. illogically pausing where life is meant to always pass by. Lines blur between houses, and neighbors take human form. Past and present mingle in my head, and sit down with me. to breathe the air and dare to be seen. So just for a bit, I give myself permission to be here. from a fresh cup of now. ​Mark Widrlechner has lived in Ames for more than 30 years where he worked as a horticulturist and is now an affiliate faculty member at Iowa State University. About five years ago, shortly before his retirement, he unexpectedly began to write poetry after a very long hiatus. These verses are often inspired by the natural world, the Iowa landscape and travels further afield. Mark has assembled three collections of his poetry, "This Wildest Year," "A Short Geography of Remembrance," and "A Fragrant Cloud Rose," which are available as e-books accessible through ISU's Parks Library at http://lib.dr.iastate.edu/ebooks/. In 2015, he also produced translations of all of Vasko Popa's poems involving wolves, a collection entitled "Raw Meat & Salt." The sun set before the moon rose tonight. as it hovered at her feeder. who slowly lifted her head. still, it felt like a healing place to her. Her hair was white now. Her old lover was too interested in his long-haired students. But real coyotes still howl there, even their pups. so I turned off my lights and parked. Tonight – the stars are uncountable.